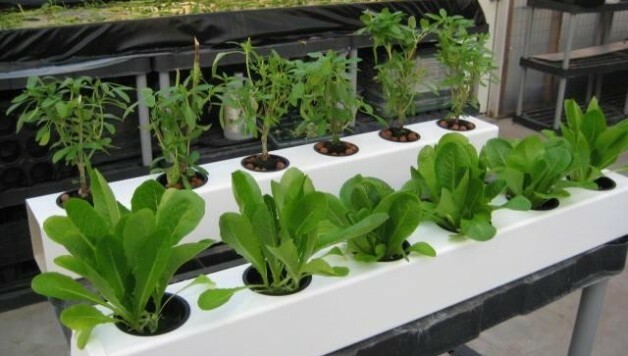 The ebb and flow hydroponics system is one of the most popular, largely due to its simplicity, versatility, and efficiency. However, with the simplicity of building and maintaining the system comes the potential for several simple but costly mistakes. Obviously, the growing surface needs to be level for the nutrient solution to be evenly distributed. If it is not evenly distributed some roots will be over-saturated and fail to drain adequately, leading to a lack of oxygen. Conversely, some will not receive a sufficient amount of the solution which can lead to nutrient deficiencies. Well, clearly the answer is to ensure that the growing surface is level. Hydroponics expert George F. Van Patten recommends the usage of self-leveling legs similar to the ones you would find on a washing machine. As is the case for every method of soilless growing, it’s important that the right growing medium is chosen. Since the ebb and flow hydroponics system requires that plants be immersed directly in the nutrient solution, one must avoid using a medium that is too light-weight. If a light-weight medium such as perlite is used, the containers can float and potentially tip over. Try using a heavier soilless grow medium like rockwool or coco coir. 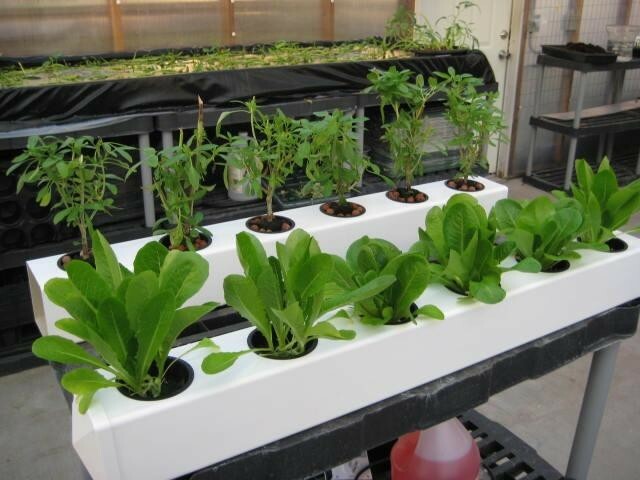 A crucial part of hydroponics is ensuring that one’s plants are receiving adequate levels of oxygen. In an ebb and flow hydroponics system it’s vital not to allow the nutrient solution to sit for more than half an hour. If it does the root system may be exposed to an anaerobic environment causing them to drown. Drain the solution regularly making sure not to let it sit for more than 30 minutes. This will ensure adequate aeration. The irrigation regimen for one’s ebb and flow hydroponics system cannot remain static over the course of a growing season or a year. Generally, one should flood the growing table when the growing medium is approximately half-full of moisture. Once a regimen is established it’s easy to continuously flood the table at the same rate. Temperatures and light availability change over the course of a growing season, however. As environmental factors change so does the evaporation rate and plant usage rate of the nutrient solution. Flooding too often can cause over-saturation whereas not flooding often enough can lead to nutrient and water deficiencies. Adjust your irrigation schedule based on current climactic conditions. Obviously this applies more to outdoor growing operations as the indoor climate is controlled.